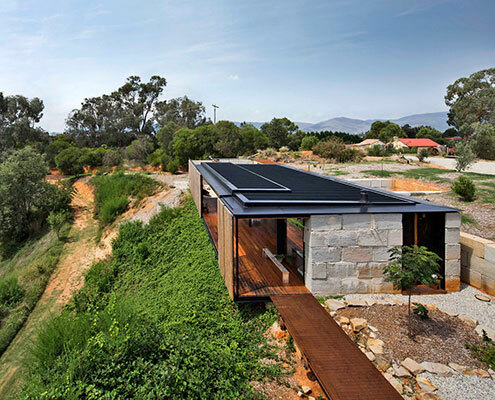 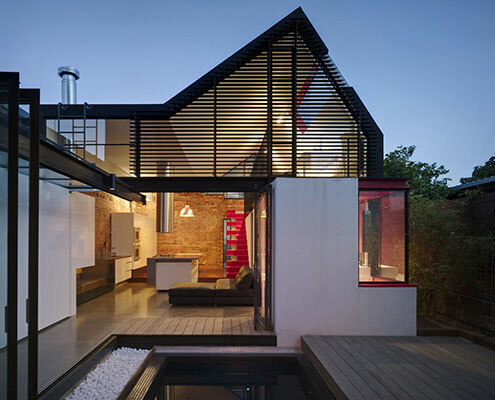 Vader House by Andrew Maynard Architects From the Outside, Vader House Seems Menacing. 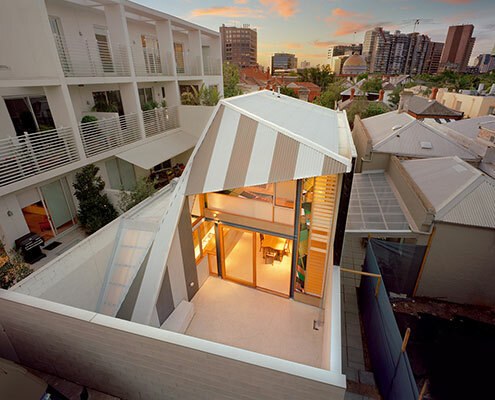 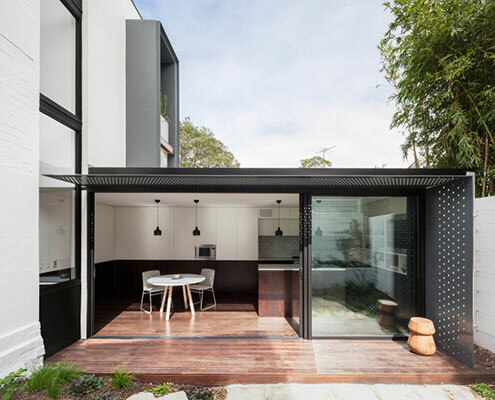 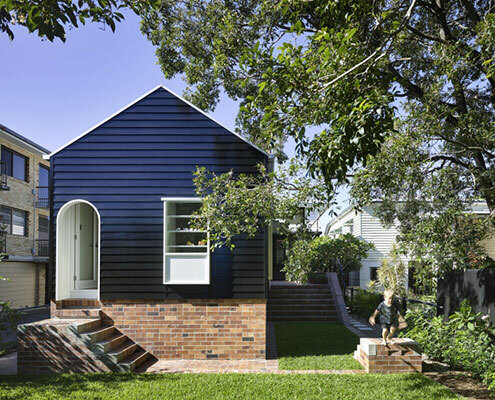 Inside It's Different Vader House emerges from behind its high boundary wall to disrupt Fitzroy's typical roofline and breathe new life into this Victorian Terrace. 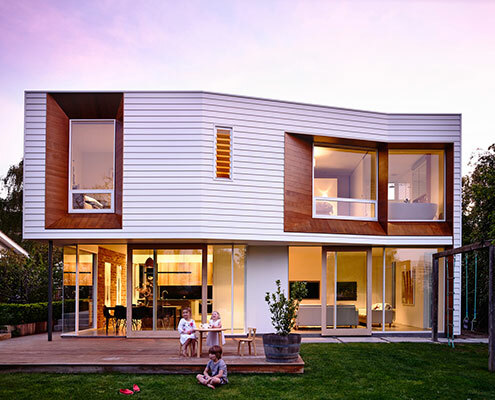 Annie Street House by O'Neill Architecture Annie Street House Achieves a Remarkable Amount on a Tight Budget Annie Street House was constructed by a project builder and utilises project home technology in unique ways to achieve a tight budget. 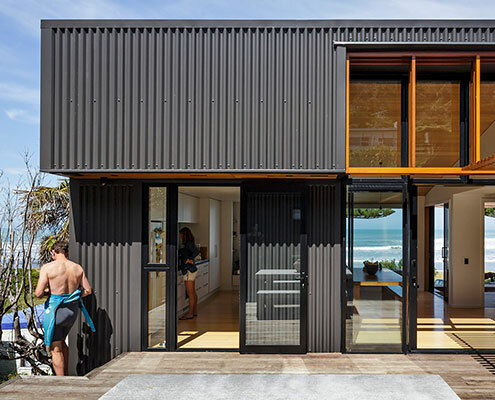 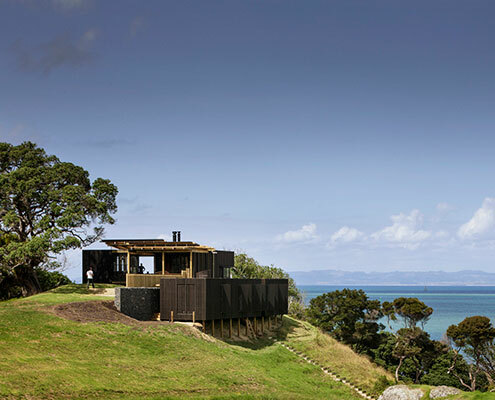 OffSET Shed House by Irving Smith Jack Architects OffSET Shed House is an Unpretentious Beach Shack With a Lot of Cool A series of shed-esque structures lap the coast in this simple, but thoughtful addition to a rural surf town in New Zealand. 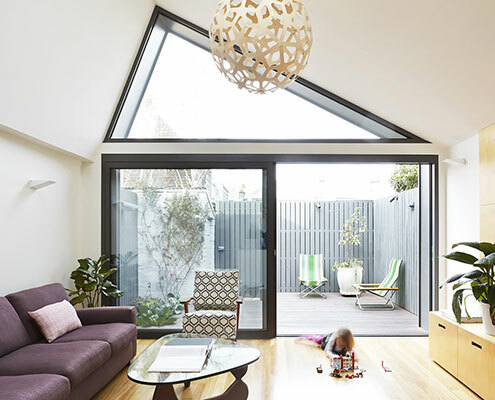 House McBeath by Tribe Studio House McBeath a Tiny Terrace Gets a Modern Partner A tiny terrace is transformed thanks to a new neighbouring addition that compliments and contrasts the original. 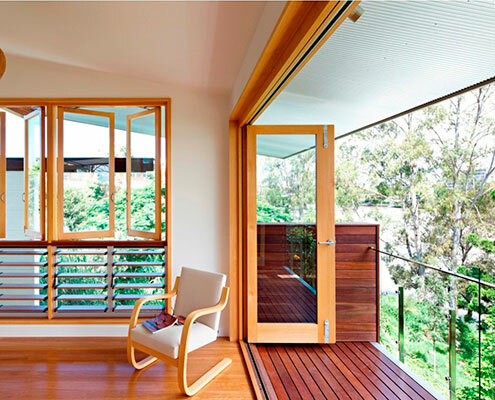 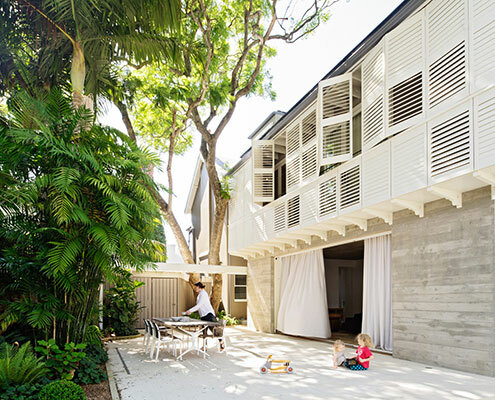 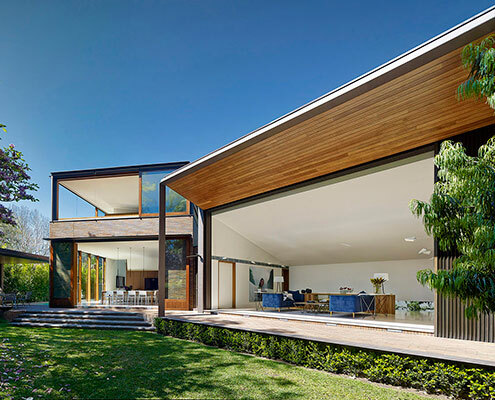 Barrow House by Andrew Maynard Architects Barrow House is a Renovation of Rotated Timber Boxes The Barrow extension appears as an arrangement of timber boxes, each independently rotated and subjected to varying amounts of extruding and manipulating forces. 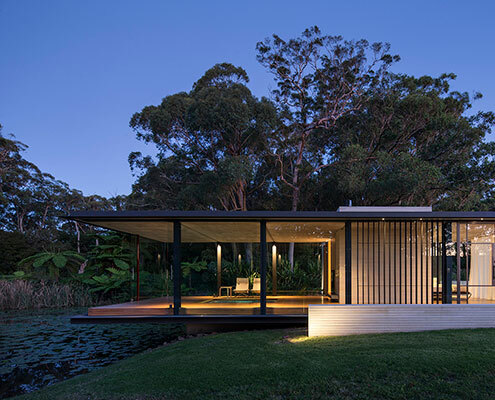 Concrete House by Matt Gibson Architecture Concrete House's Tapered Form Frames the View Concrete House features a tapered concrete second story which focuses the view of a garden and the city beyond. 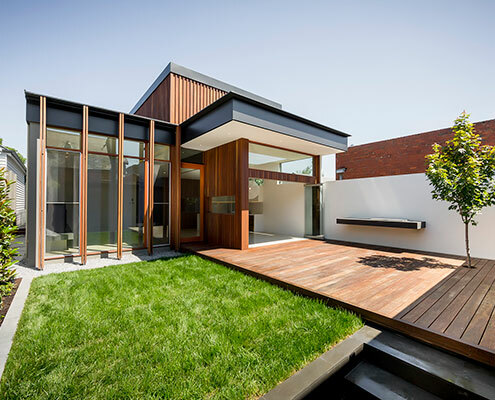 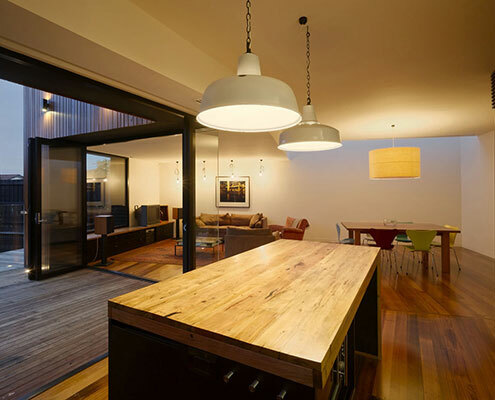 Armadale House by Mitsuori Architects A Discreet Addition Makes the Most of a Compact Site in Armadale The Armadale House addition creates an open plan living area with a great connection to the garden, maximising the small site. 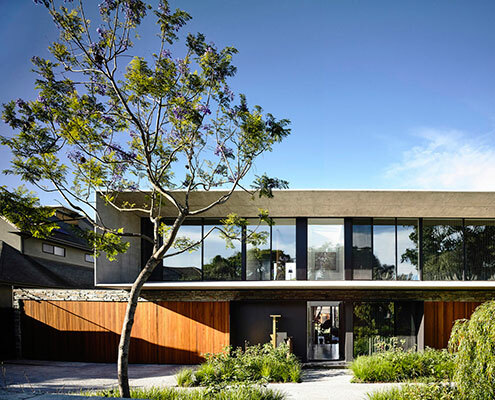 Woollahra House by Tzannes Associates Woollahra House Makes the Best of a Compact Urban Site A new house set in a compact urban site, Woollahra House has a relaxed yet rich garden landscape of indoor and outdoor rooms. 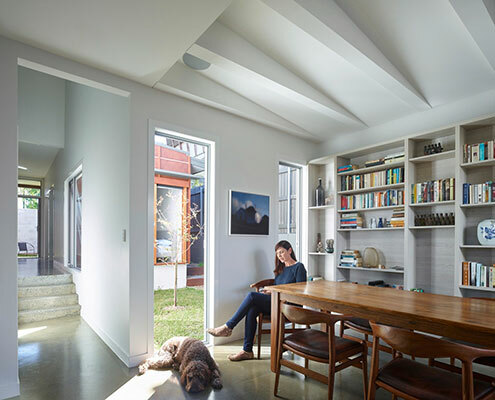 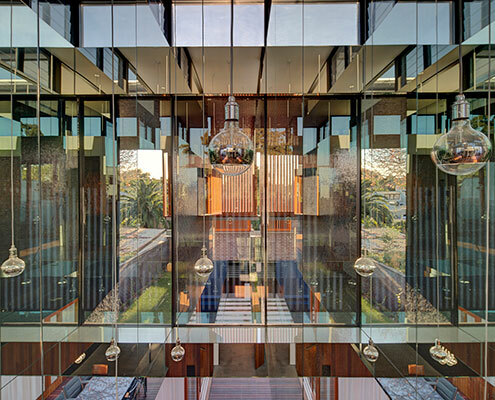 spiegel-haus-carterwilliamson-architects by Carterwilliamson Architects Spiegel Haus Was an Opportunity for Architects to Experiment A mirror-lined void brings light deep into a square floor plan and above spatially divides the living and dining spaces without the need for walls.